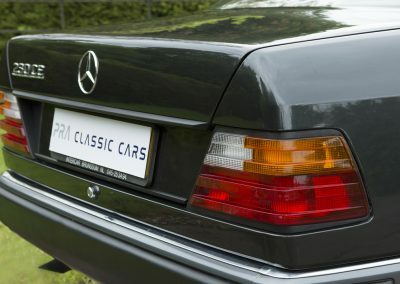 Here we have another beautiful Mercedes. 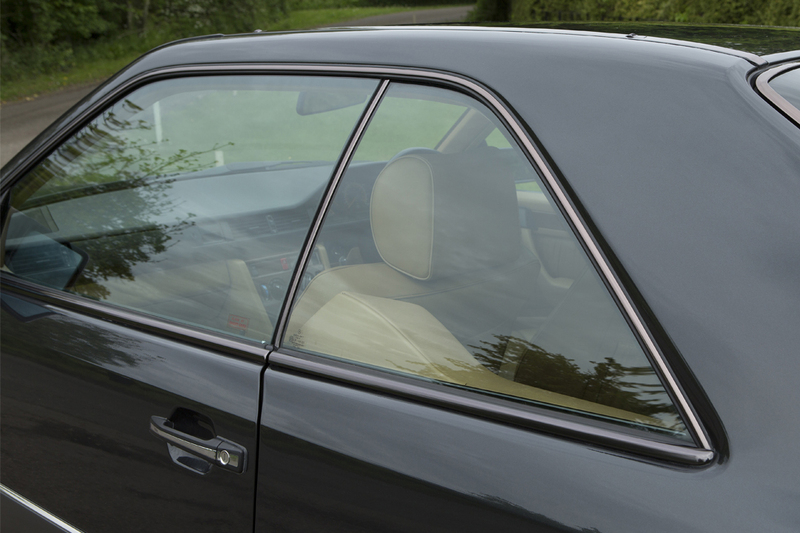 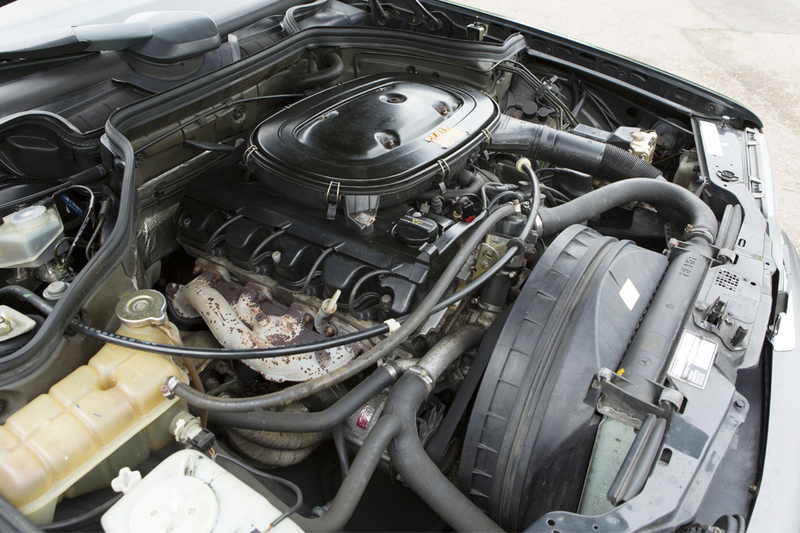 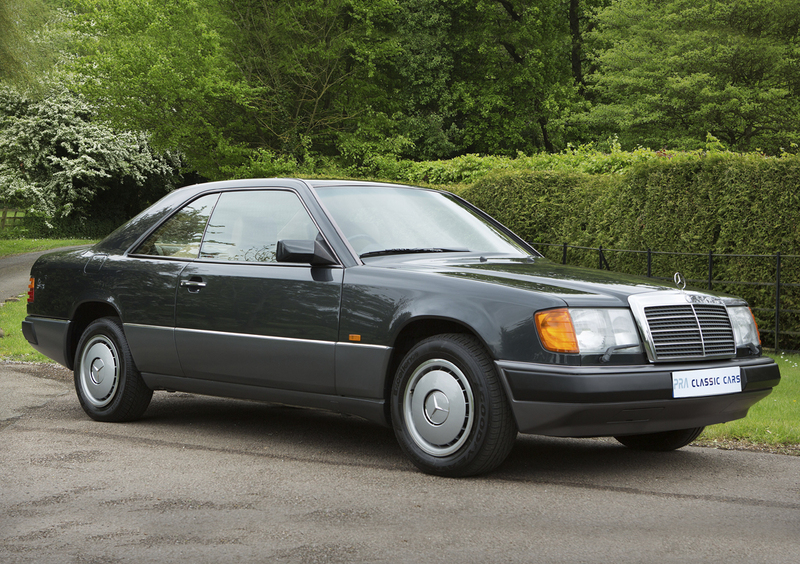 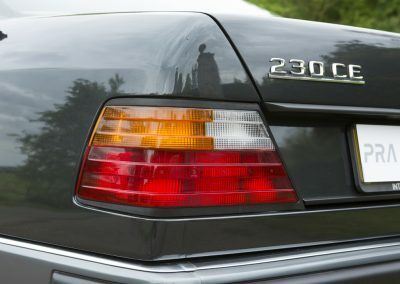 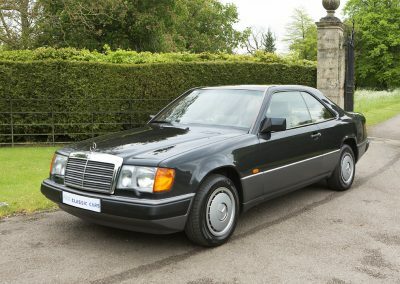 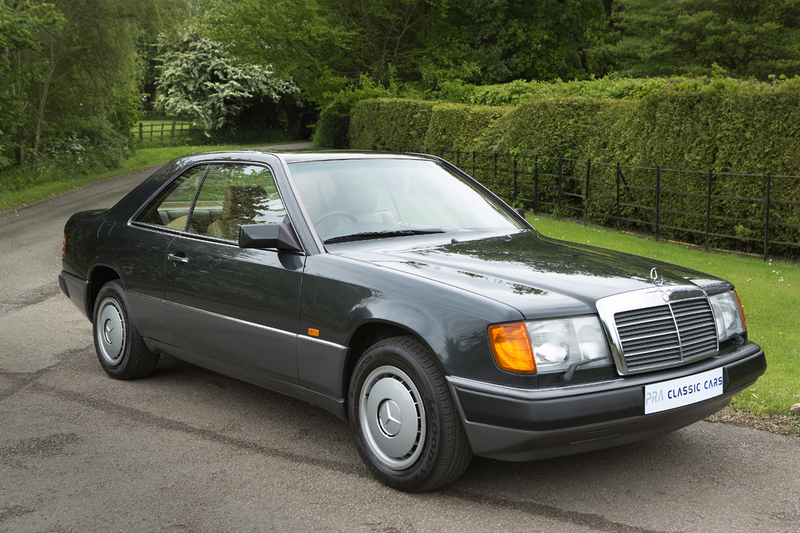 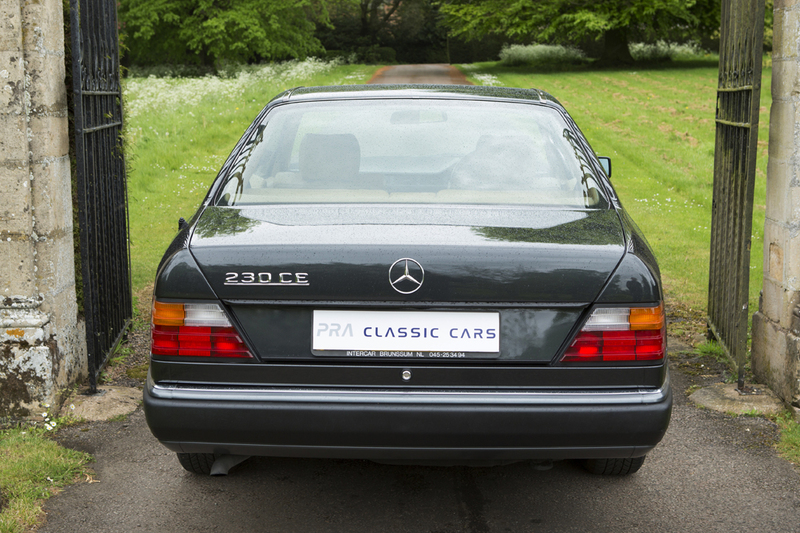 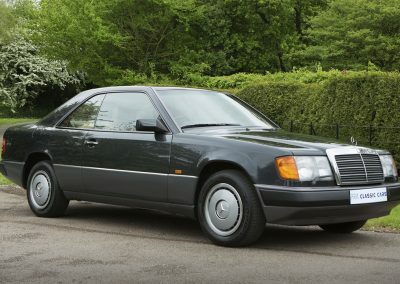 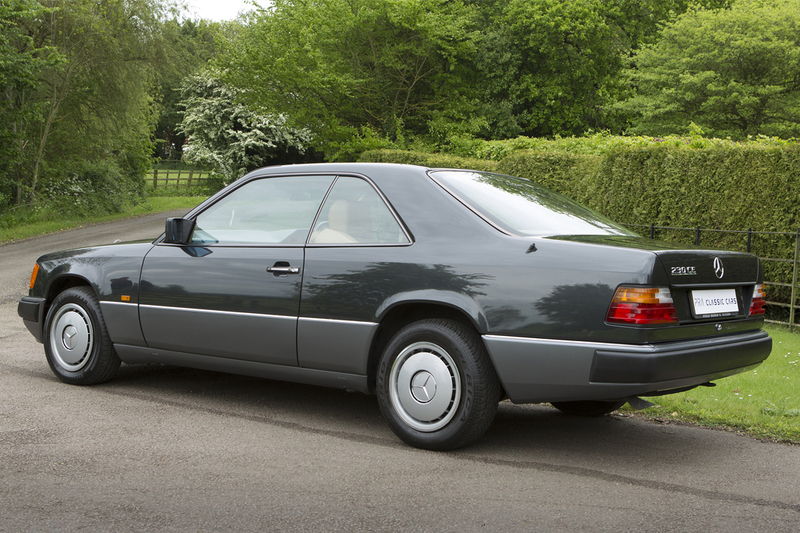 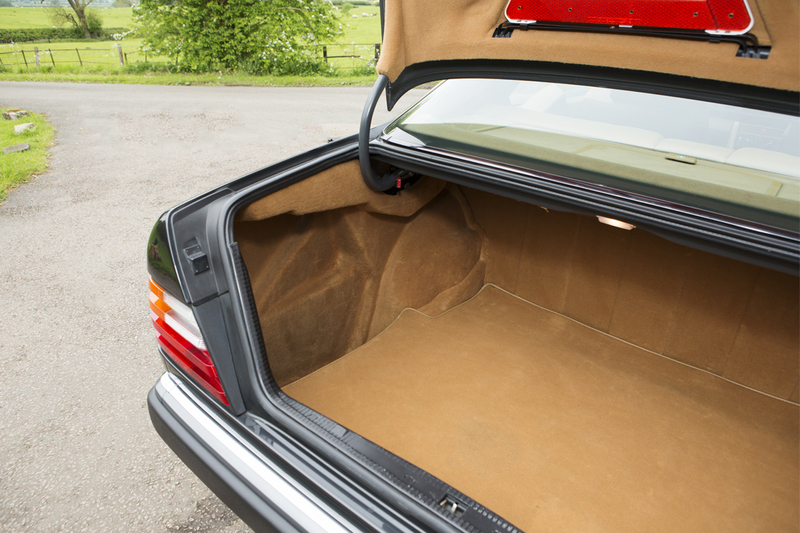 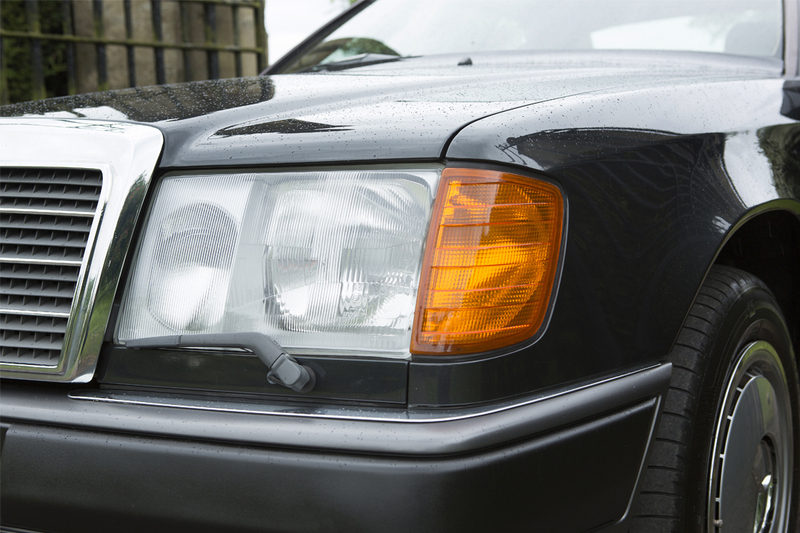 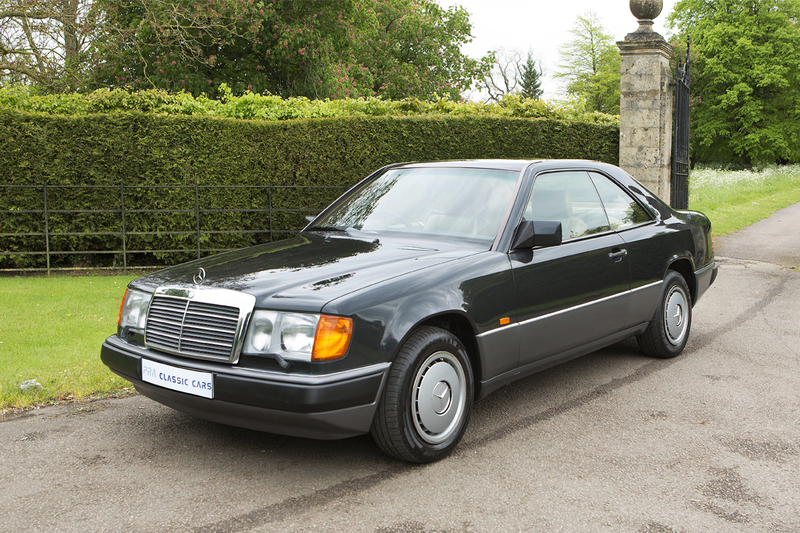 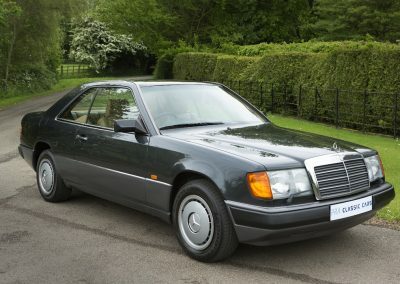 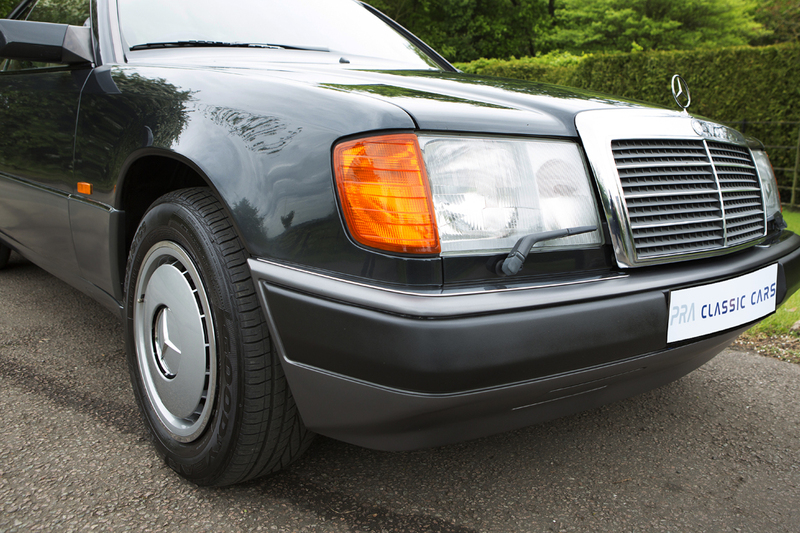 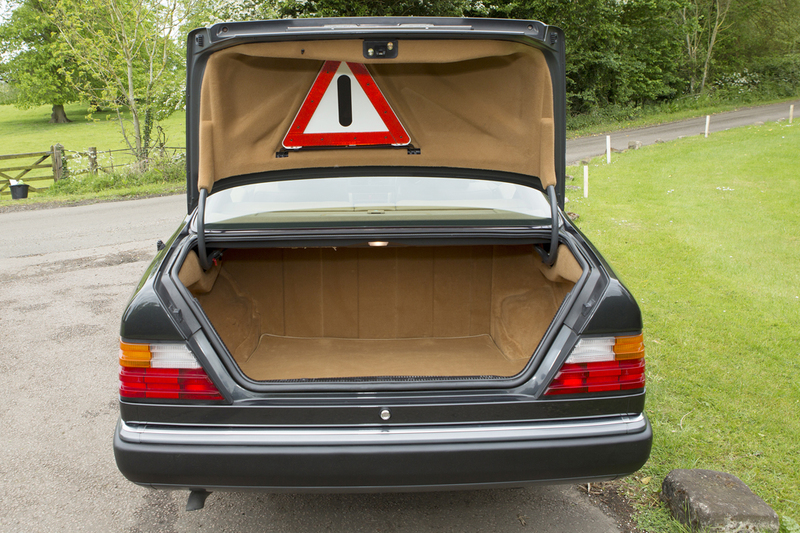 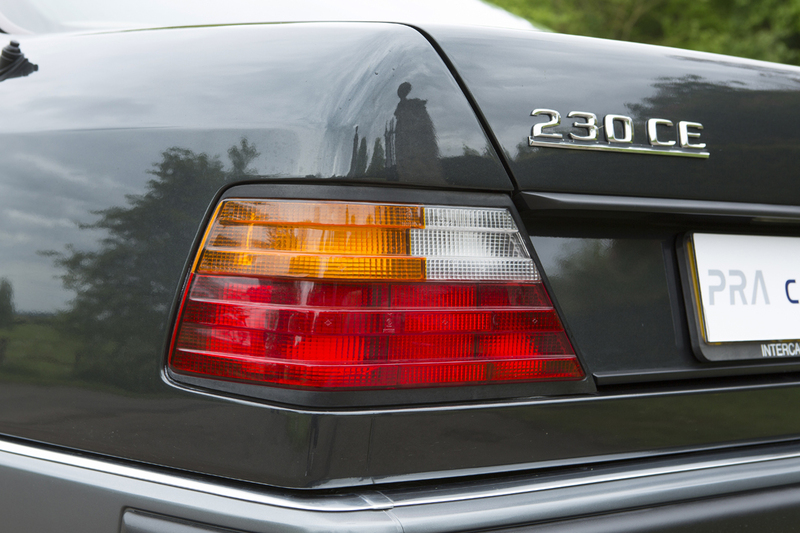 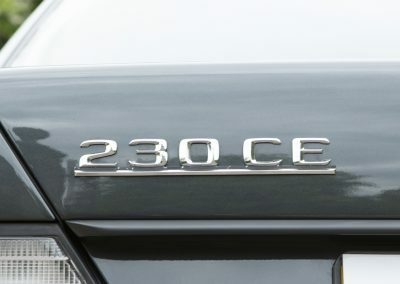 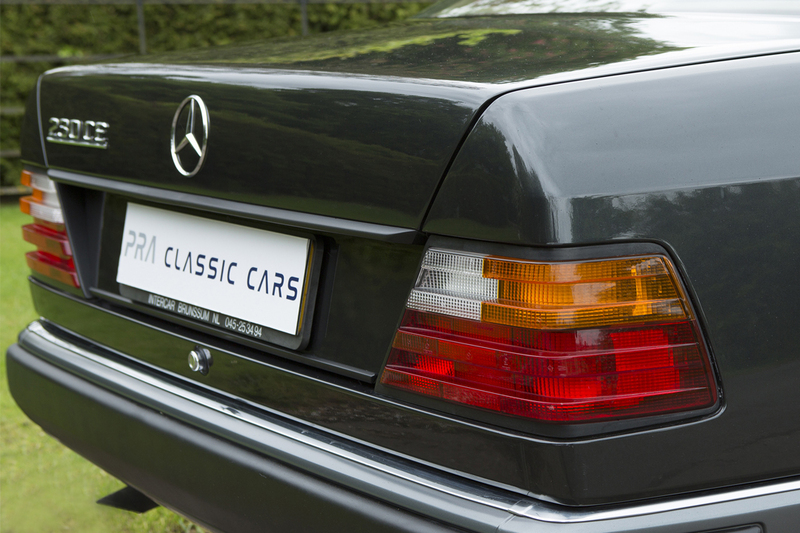 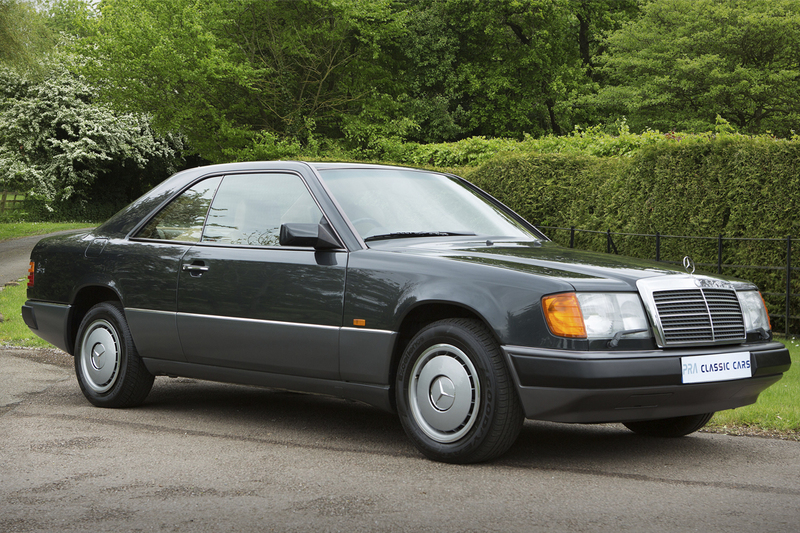 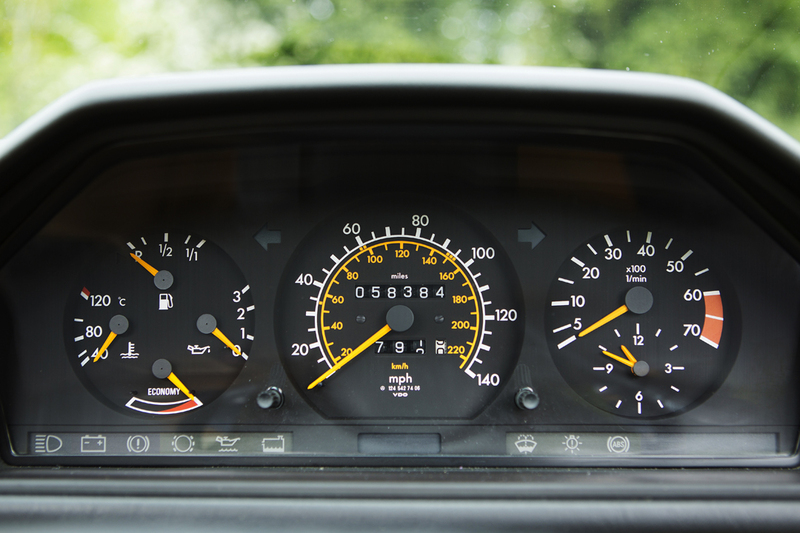 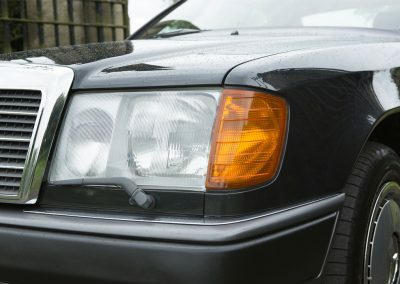 This elegant 230 CE is in fabulous condition. 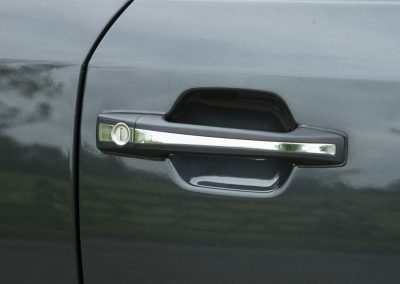 Finished in black pearl metallic which is a very dark grey. 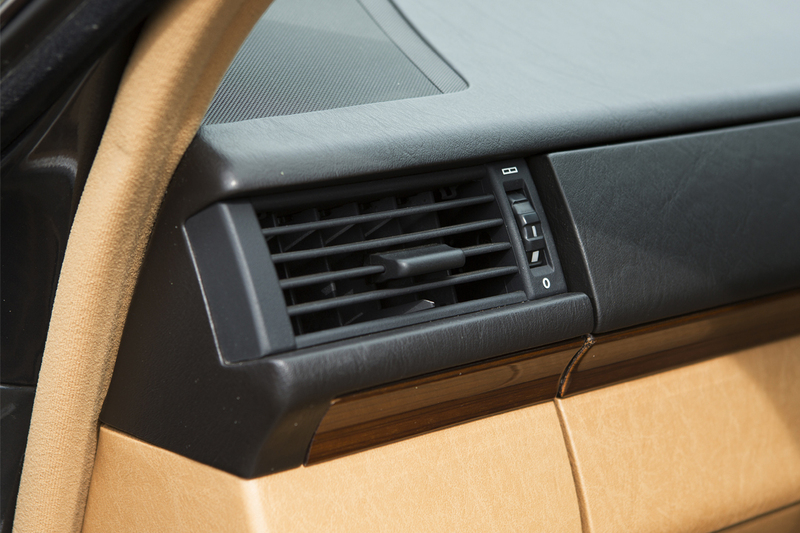 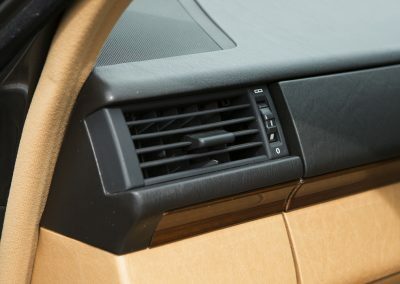 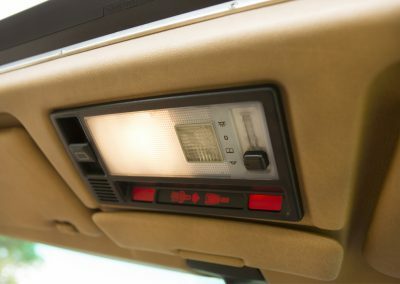 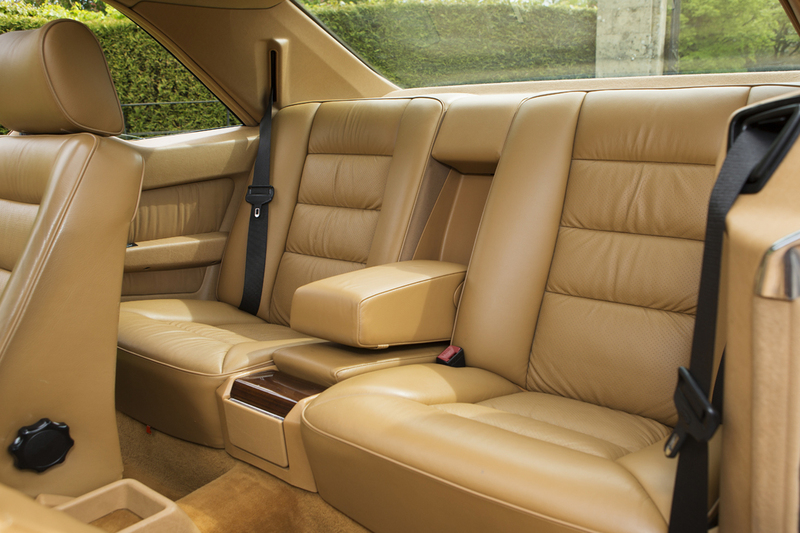 The interior is saffron leather and contrasts nicely with the dark paint work. 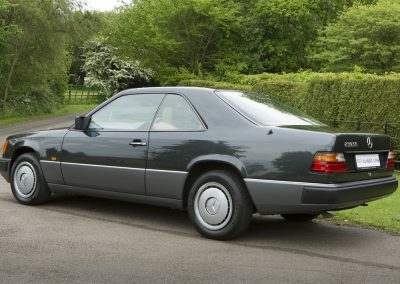 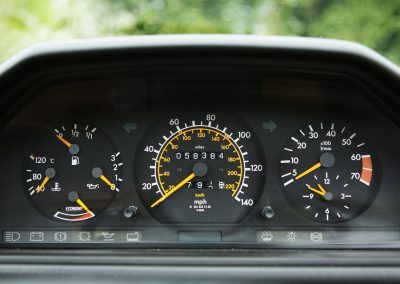 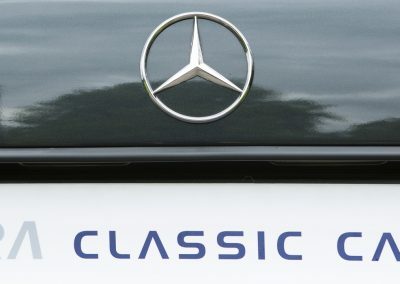 With a warranted 58400 miles and a full service history this Mercedes coupe has the rare manual gearbox which according to Octane magazine are the more coveted now. Serviced in September 2016 by Mercedes Benz of Eastbourne and has an MOT until December 2017 with no advisories this car should give her new owner many happy and relaxed miles to come. 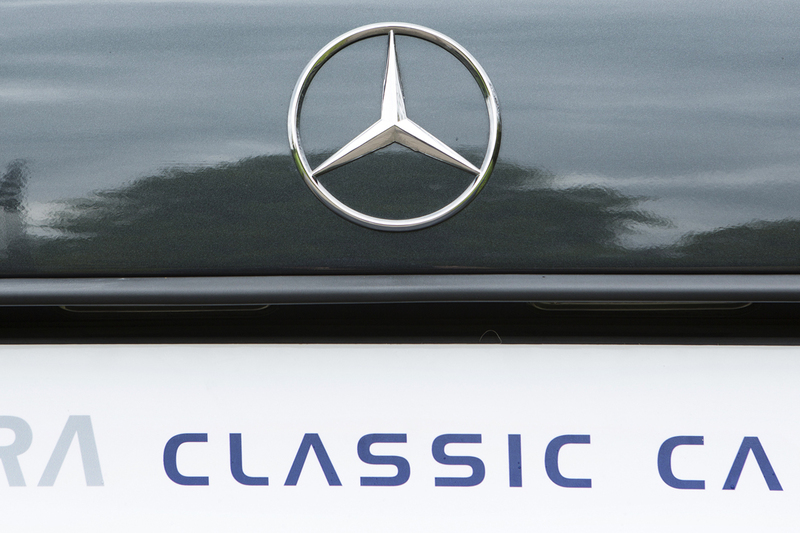 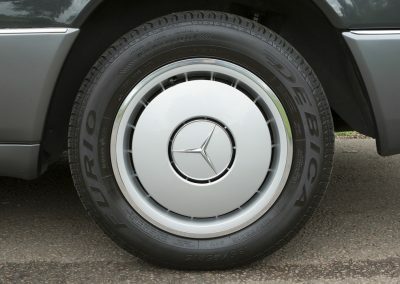 There are invoices from Mercedes of Eastbourne for refurbishment, service and repairs for over £6500 carried out over the past two years. 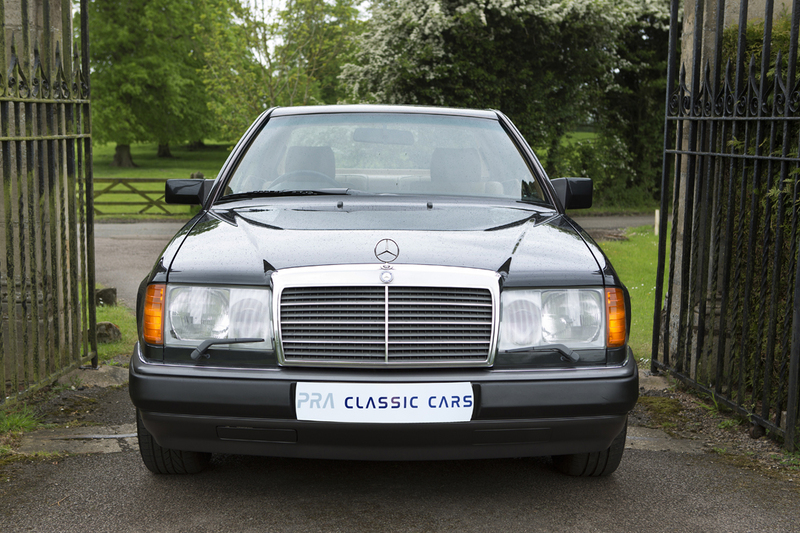 Supplied new by Dutch Mercedes dealer Smeets MB of Herleen and imported into the UK. 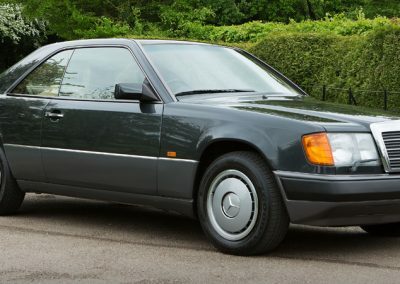 MOT to December 2017 with no advisories. 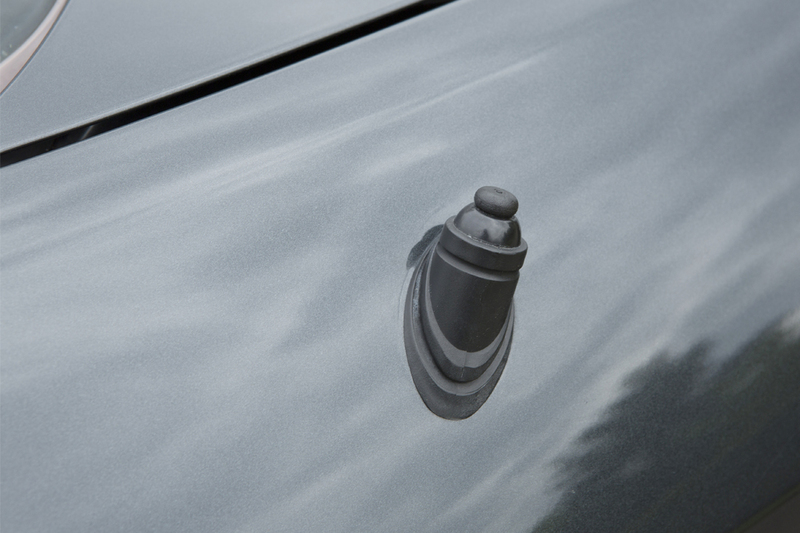 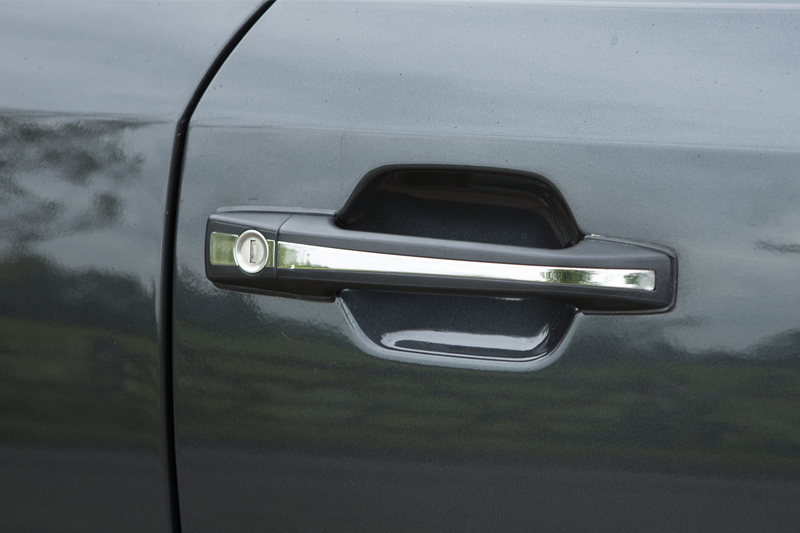 The black pearl metallic paint is in excellent condition. 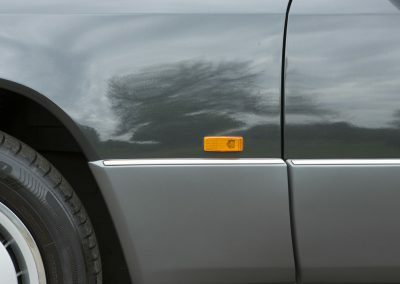 With just a few age related stone chips and the odd small scratch which don’t detract from the appearance of this car. 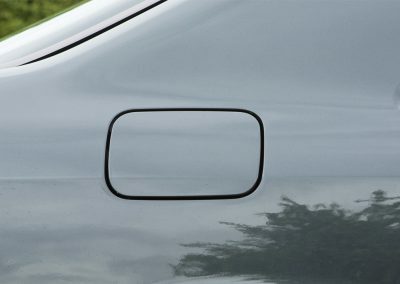 The lower body cladding looks unmarked. 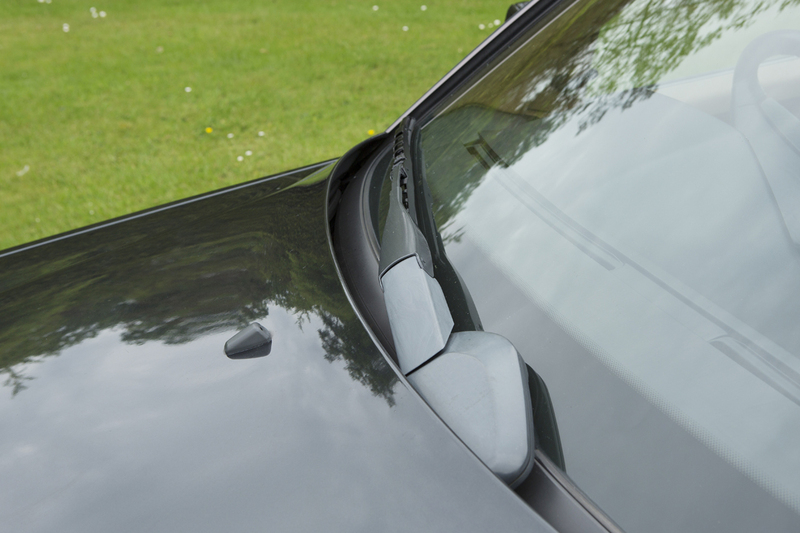 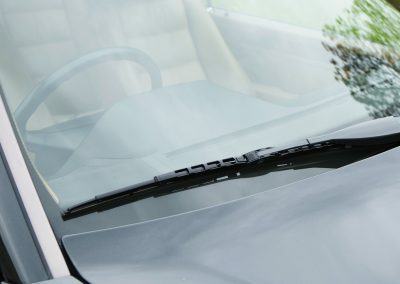 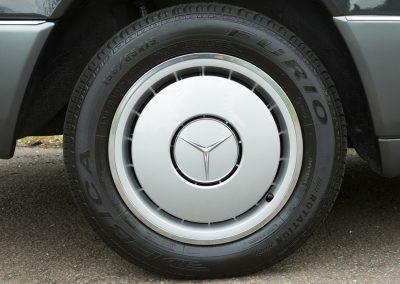 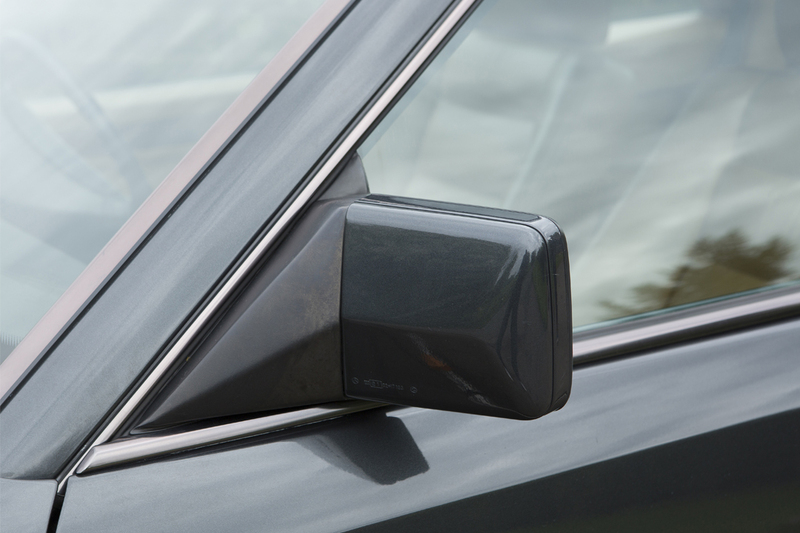 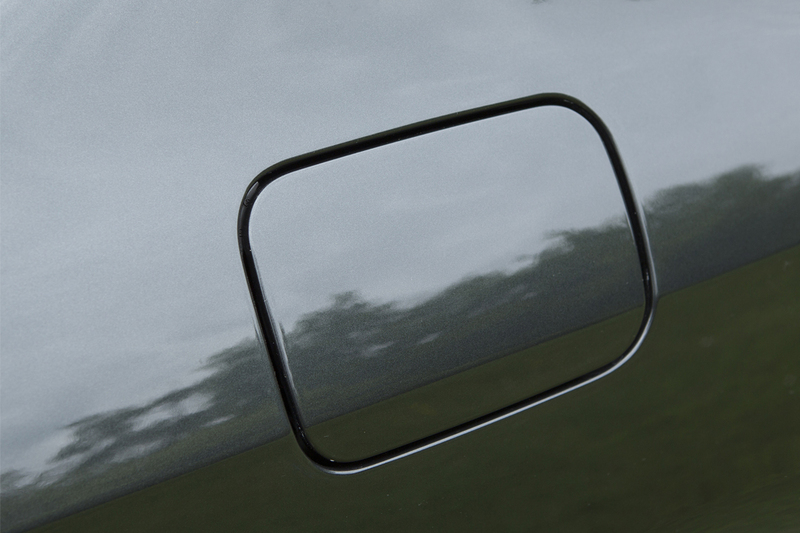 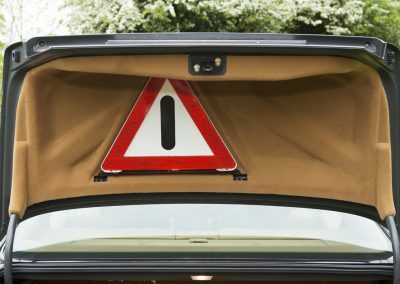 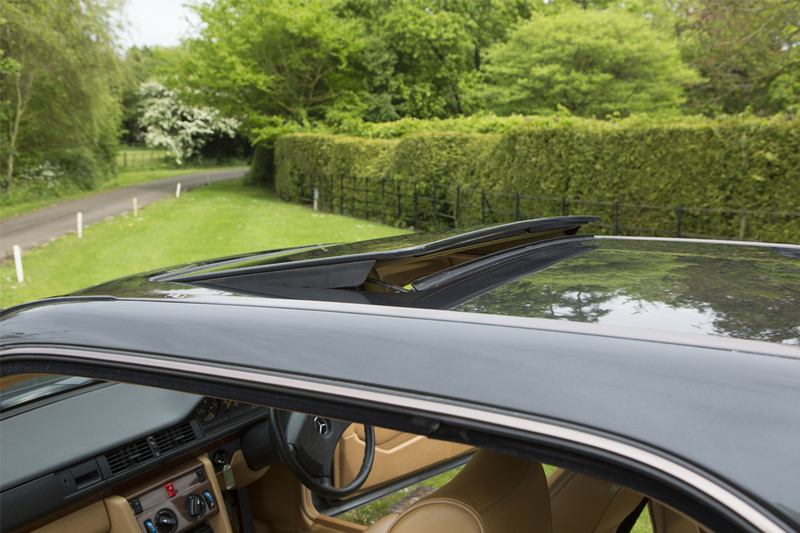 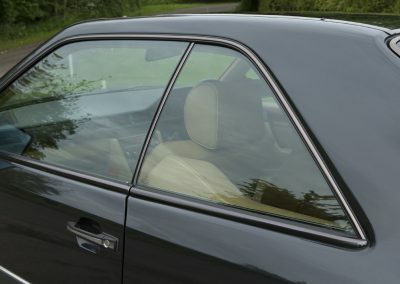 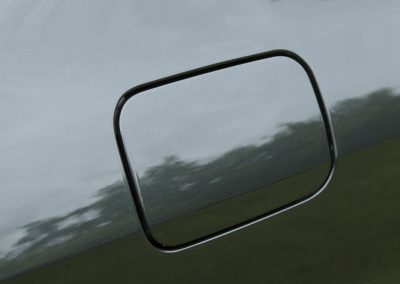 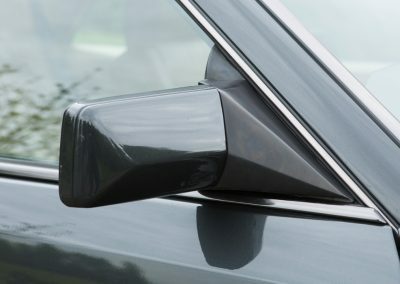 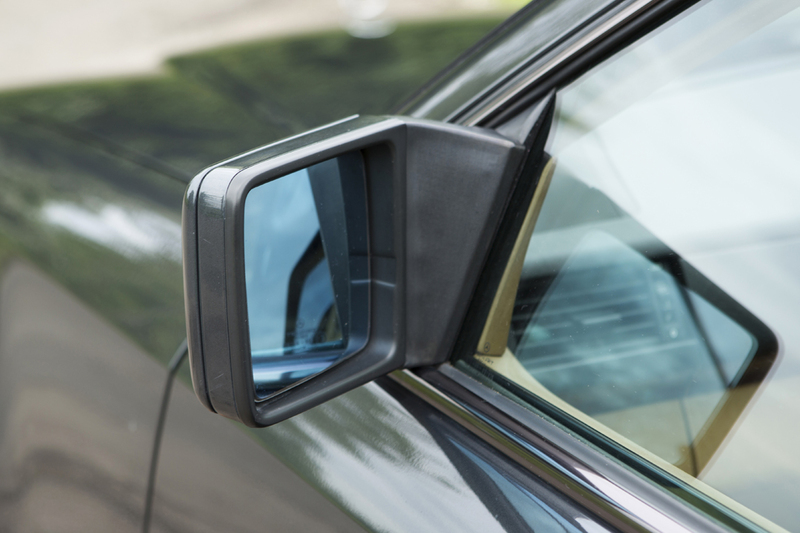 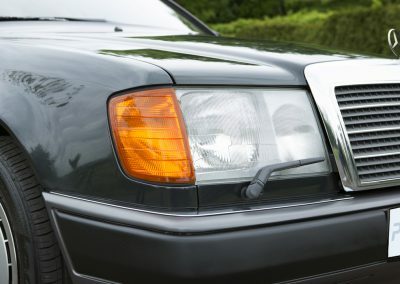 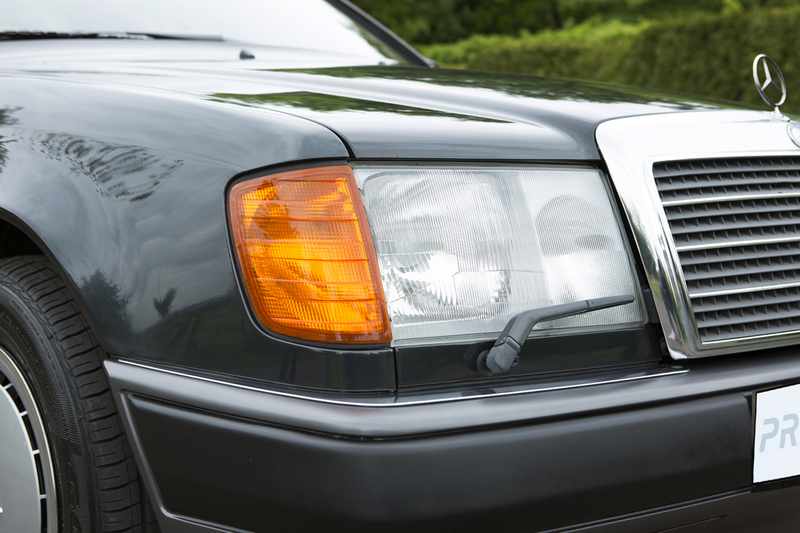 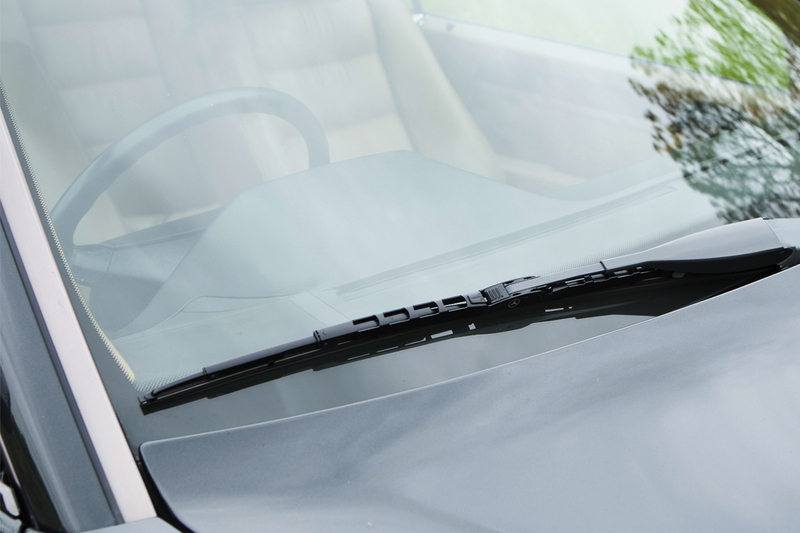 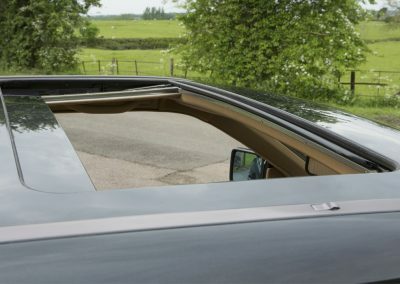 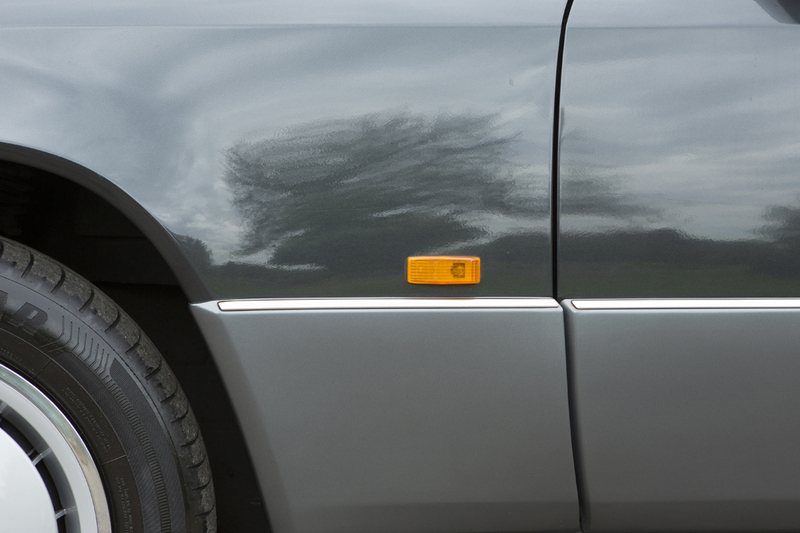 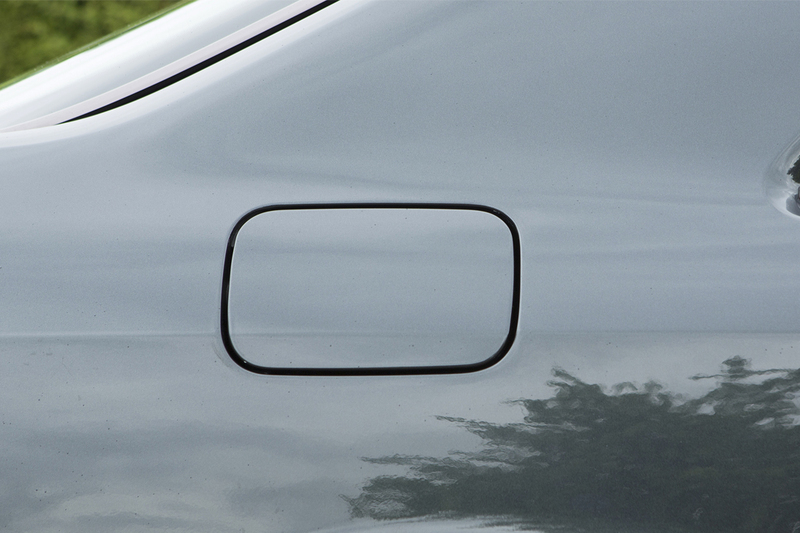 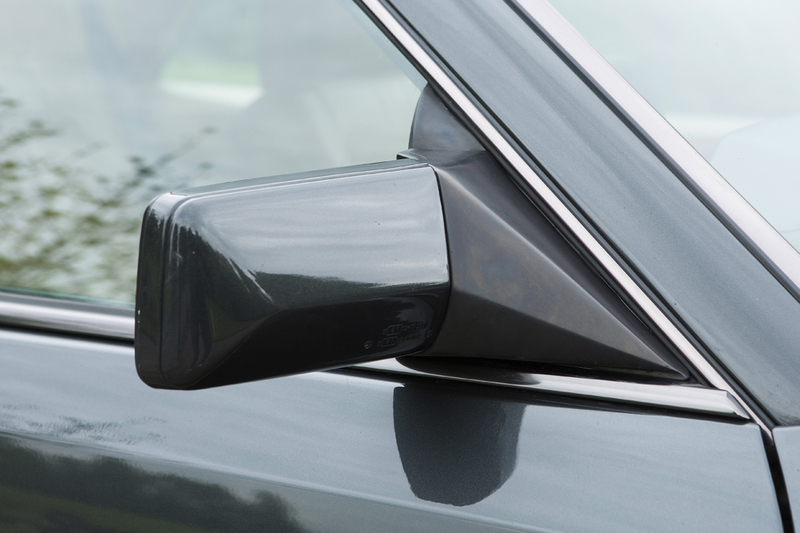 There are no dents or ripples down the flanks of the car and no corrosion in the traditional weak spots around the front and rear wheel arches. 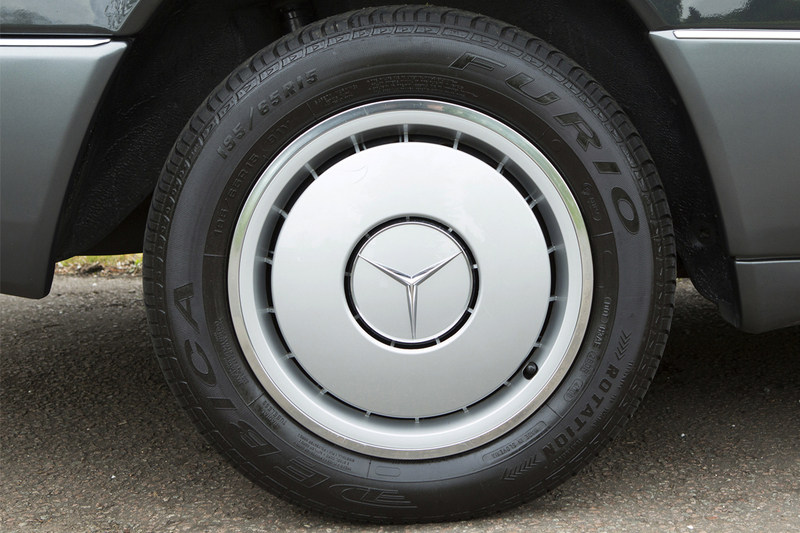 The 15 inch wheels have trim finishers on them rather than alloys and apart from one small scratch look new. 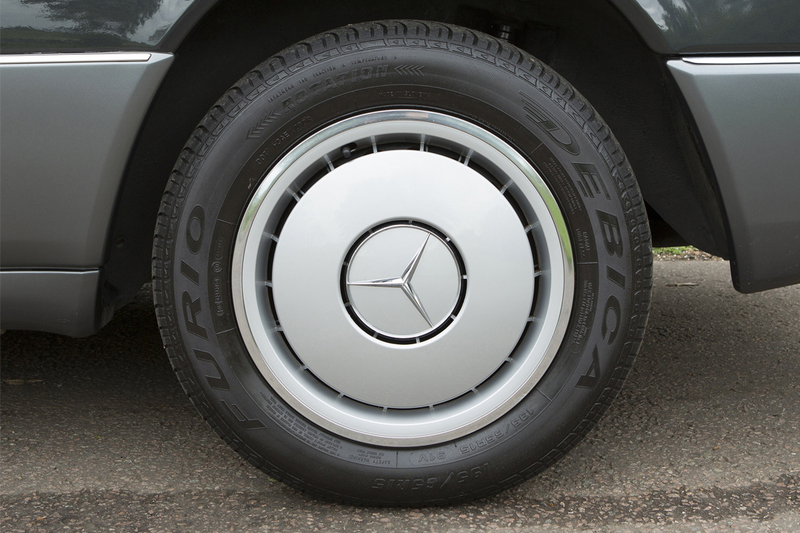 The tyres are all in good condition with plenty of tread remaining. 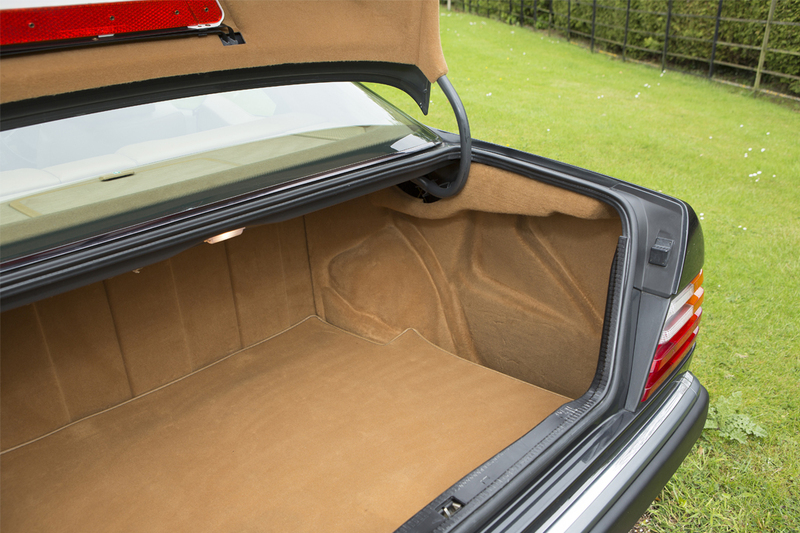 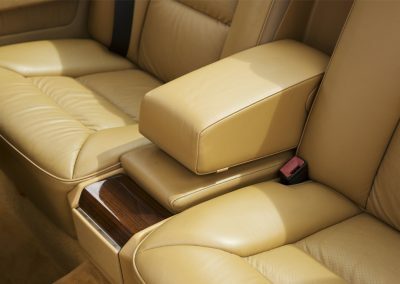 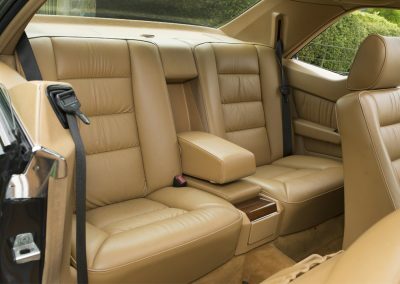 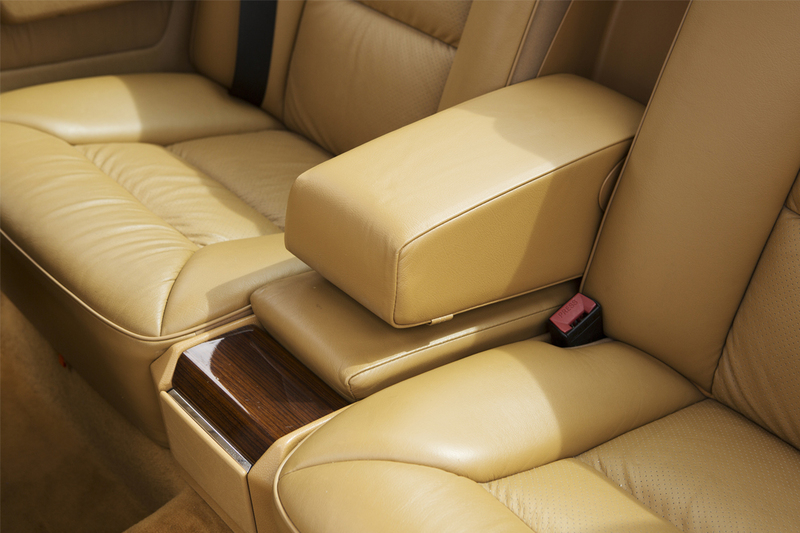 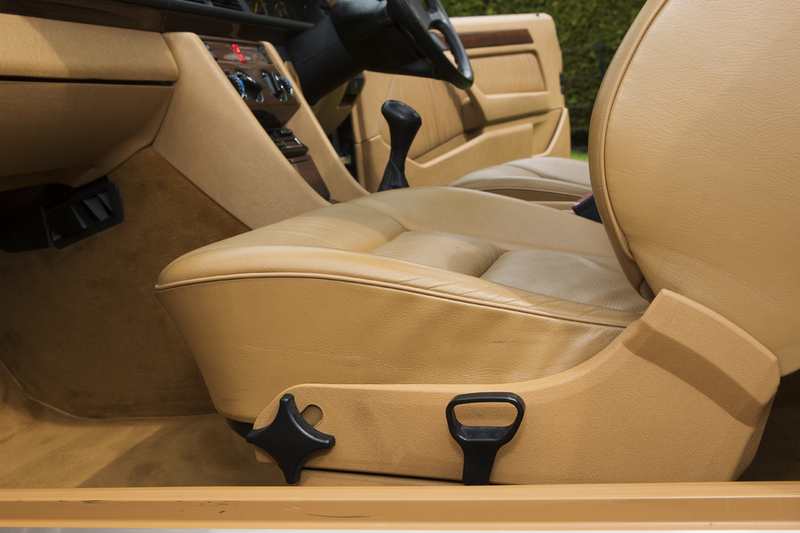 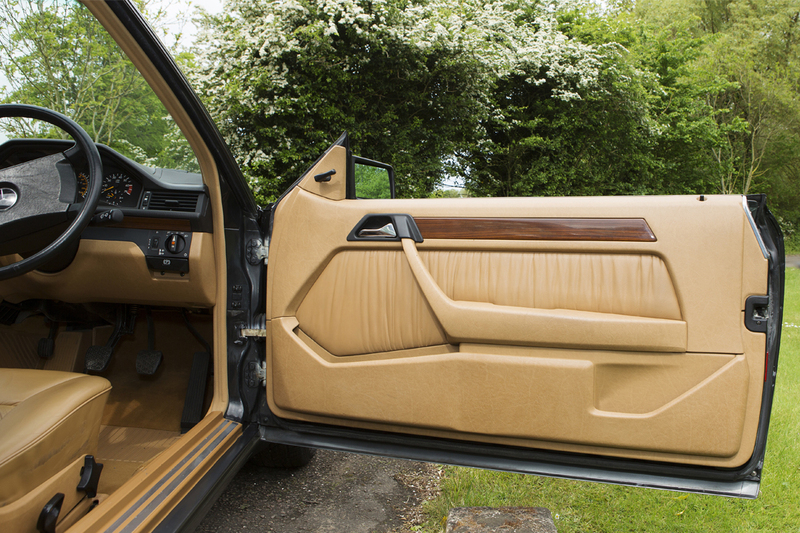 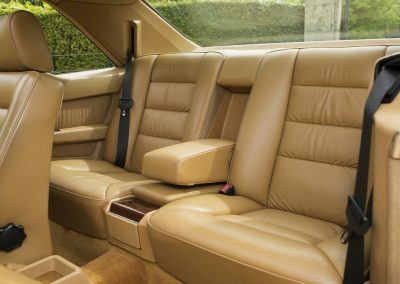 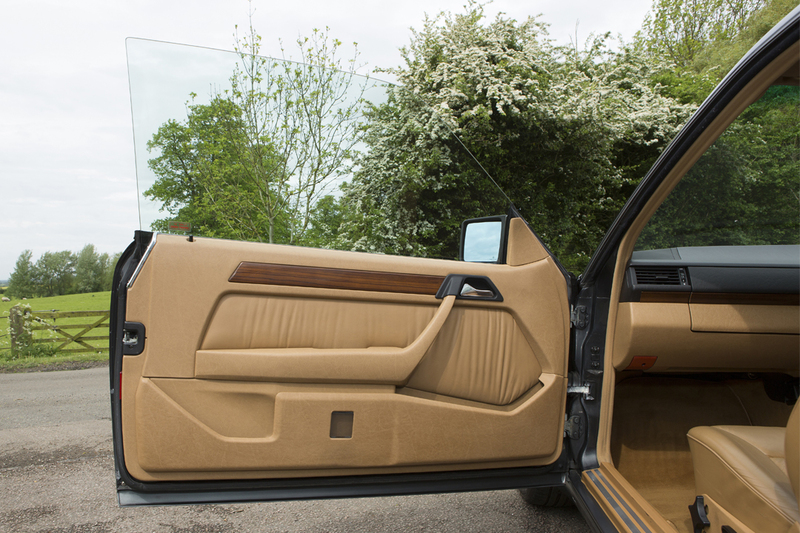 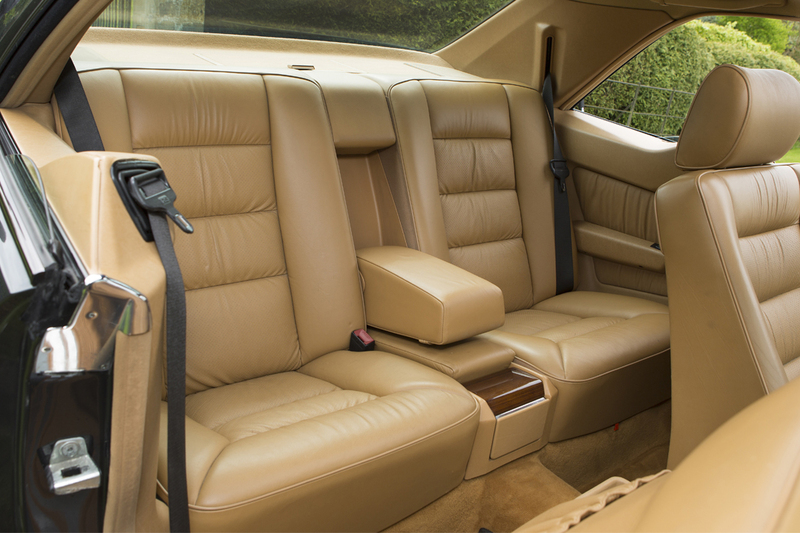 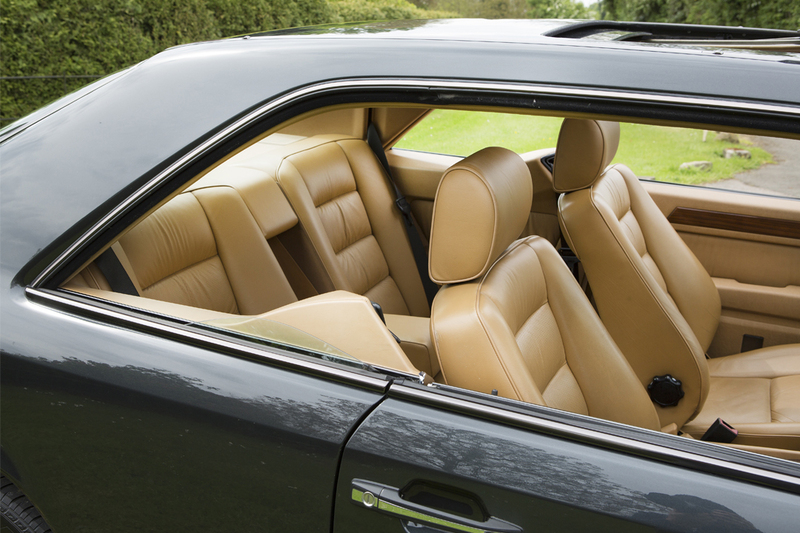 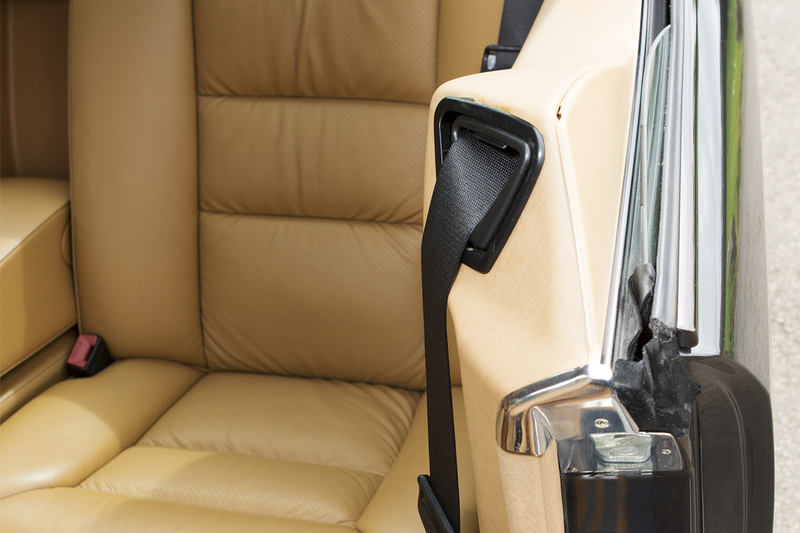 The saffron leather upholstery extends to the door cards. With colour coordinated thick pile carpets and a fabulous build quality this is a very comfortable place to be, providing ample room for four people. 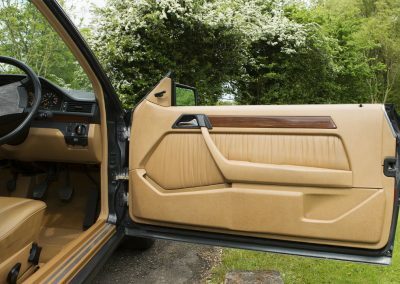 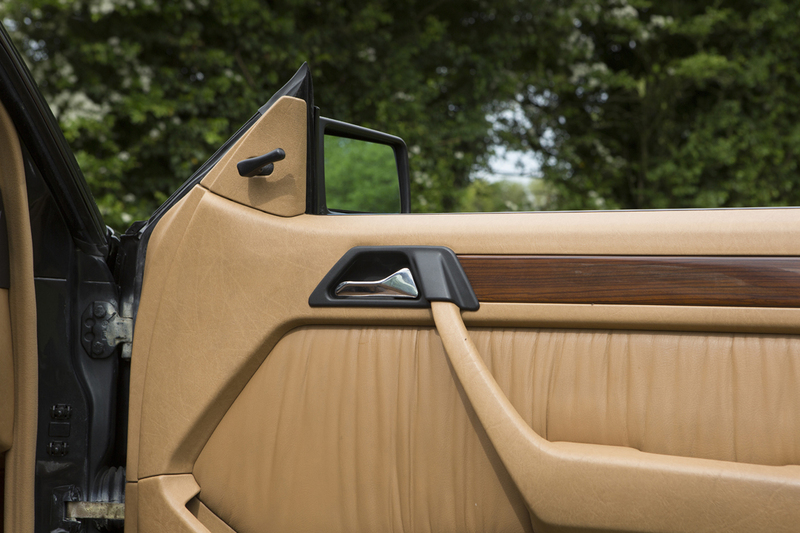 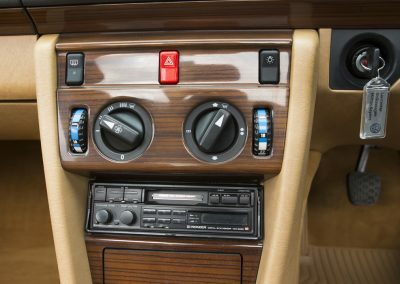 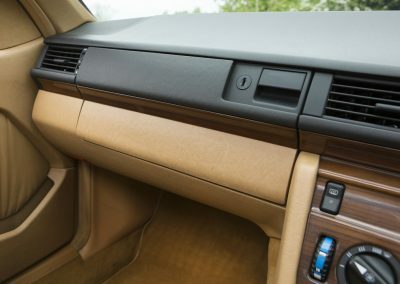 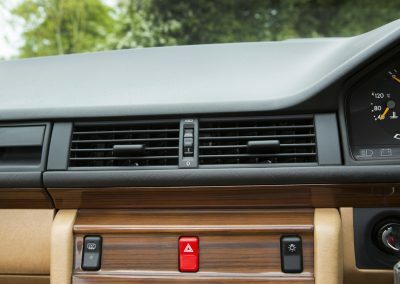 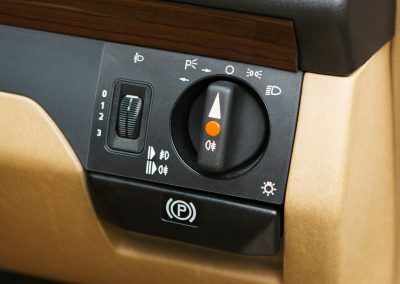 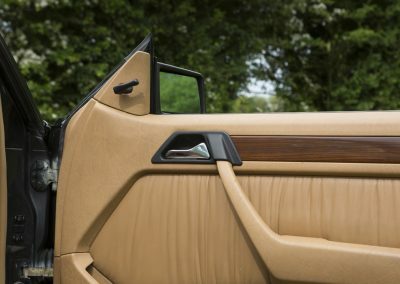 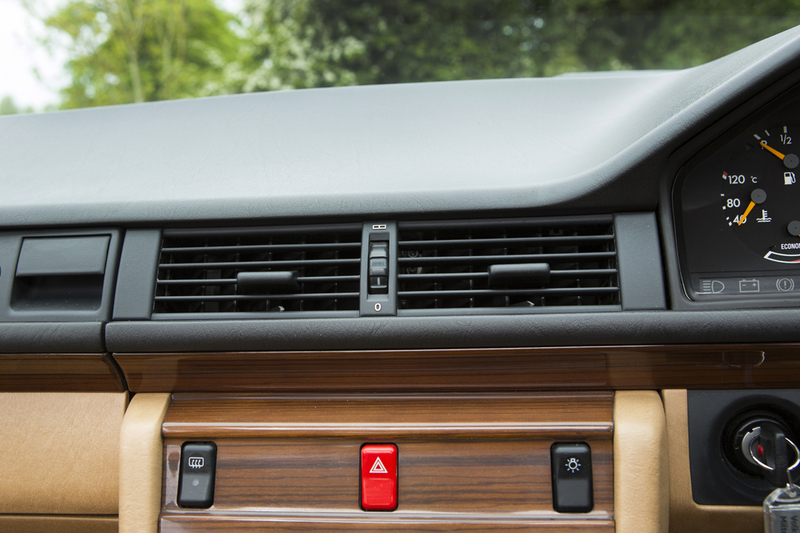 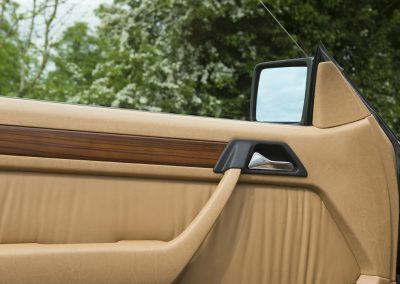 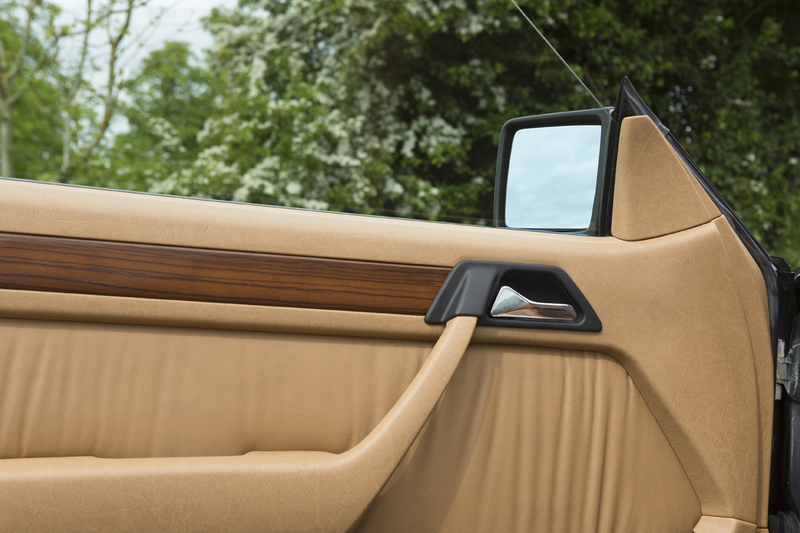 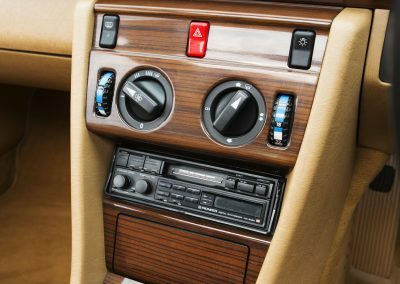 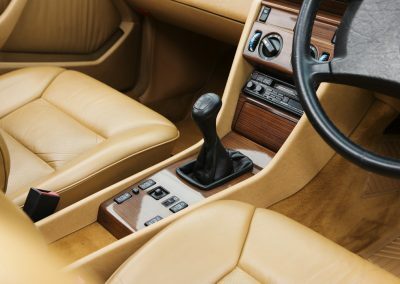 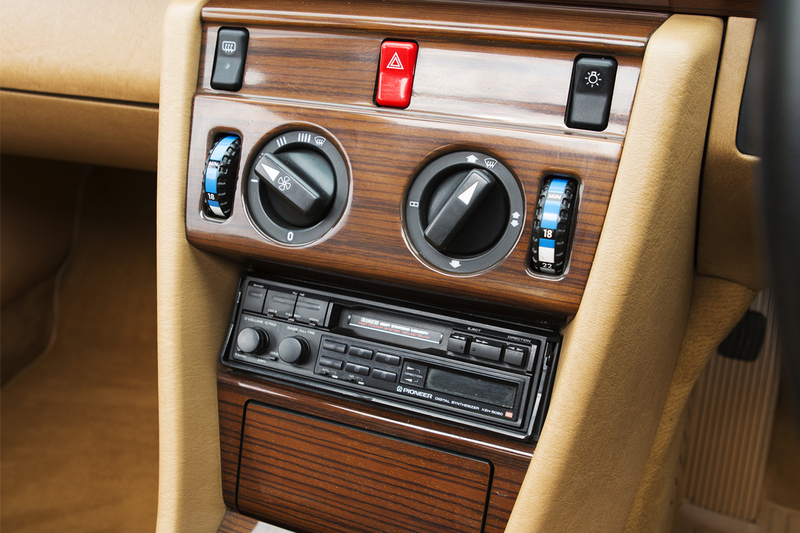 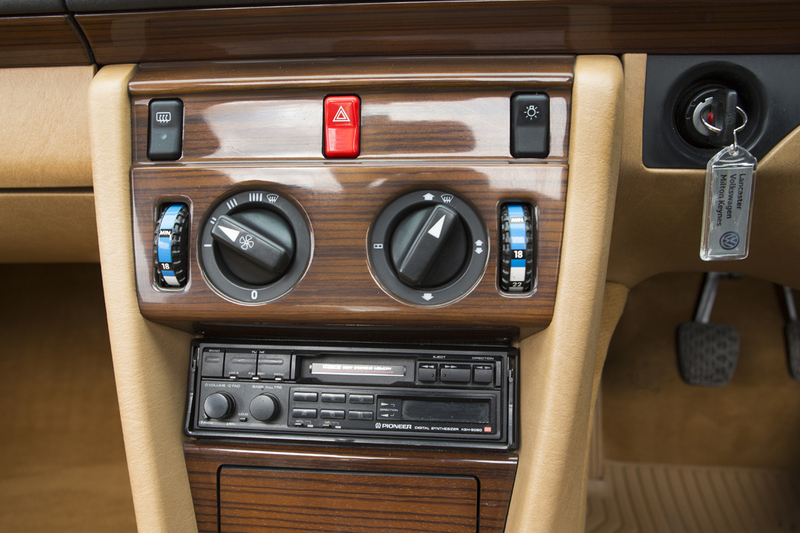 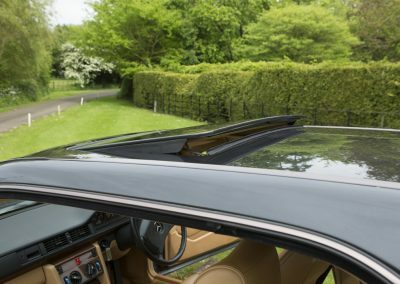 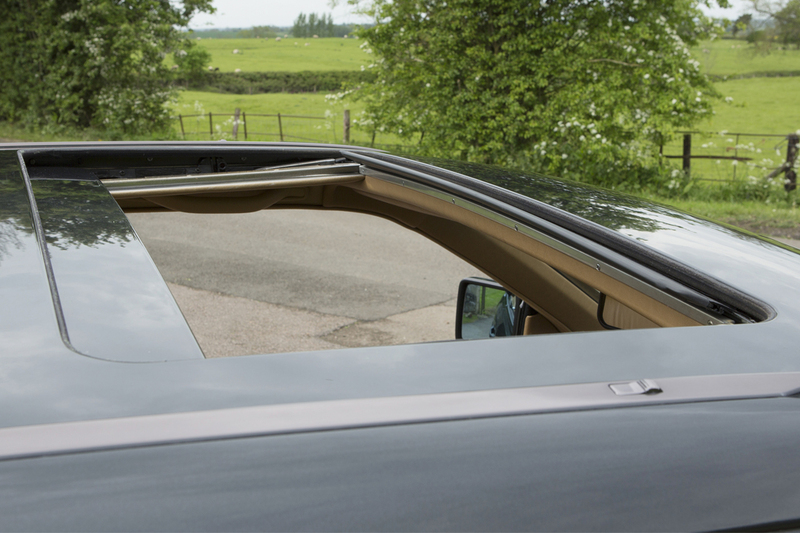 The black dash board and Zebrano wood trim is almost as new in appearance and shows that this car has been cherished by its previous owner. 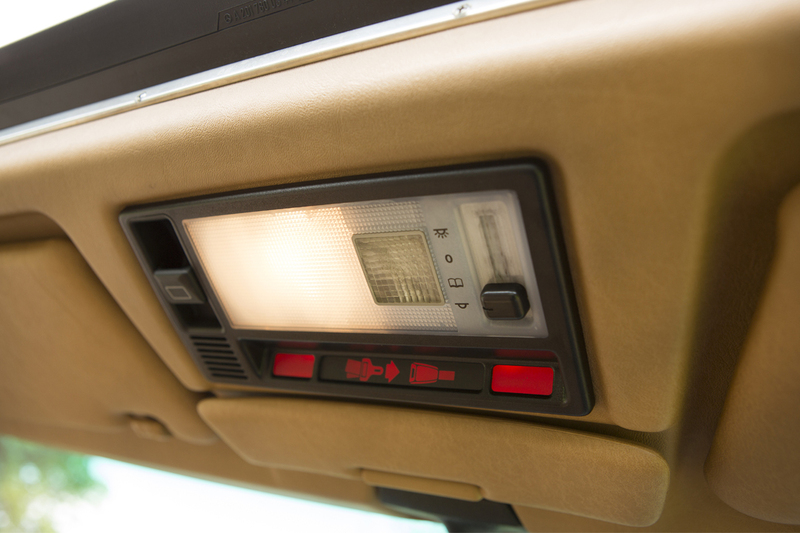 The headlining is pristine and the electric tilt and slide sunroof works as it should. 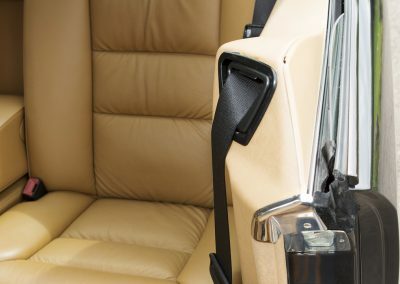 The driver’s seat has a small amount of discolouration on the side bolster and there a few scuffs along the side base of the driver’s seat. 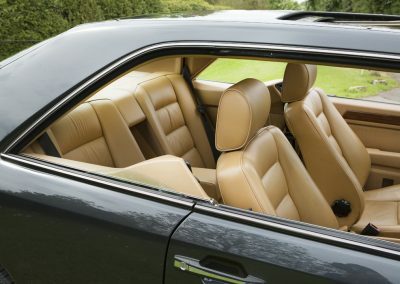 This does not in my opinion detract from the appearance of the interior. 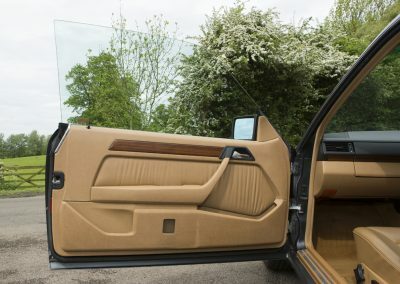 ABS, Front and rear electric windows, Central locking, Power steering, 5 speed manual gearbox, Head lamp wash wipe, Full leather interior, Zebrano wood inlays, Electric tilt & slide sun roof, Leather steering wheel. 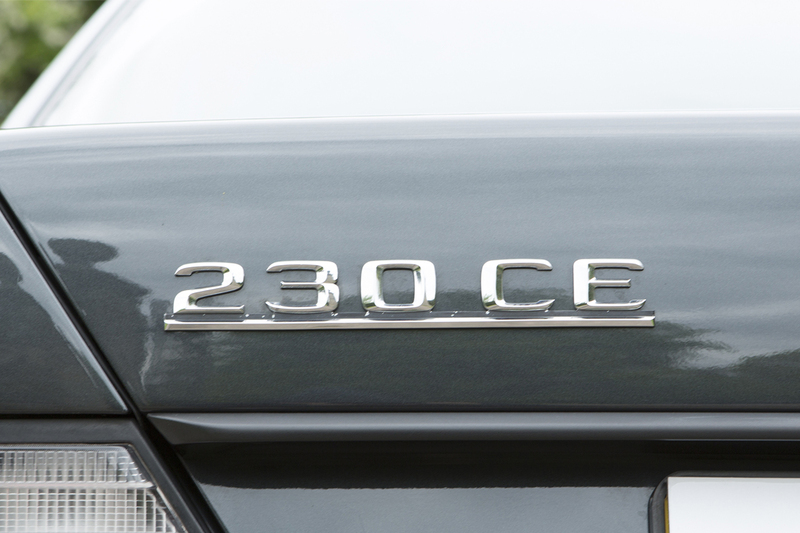 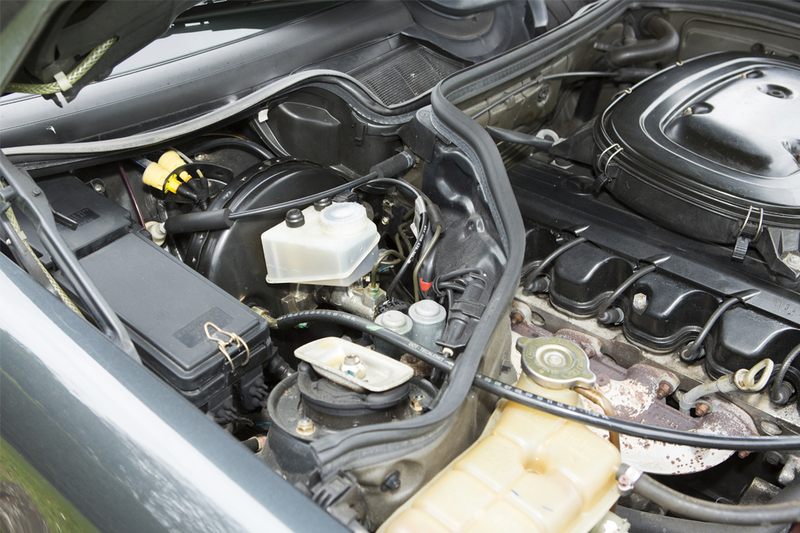 The 2299 cc four cylinder engine produces 136 BHP and is a smooth and torquey unit. 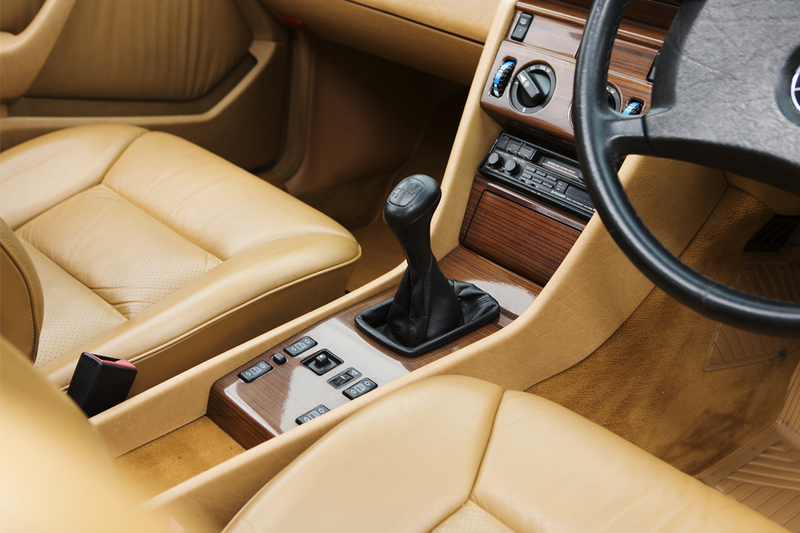 Mated to the 5 speed manual gearbox the car is sprightly and a relaxed cruiser. 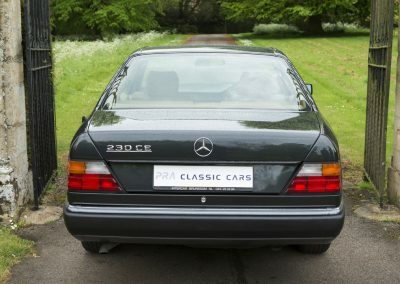 She has a top speed of 127 MPH and has a 0-60 MPH of just over 10 seconds. 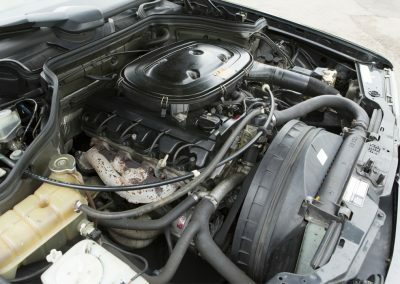 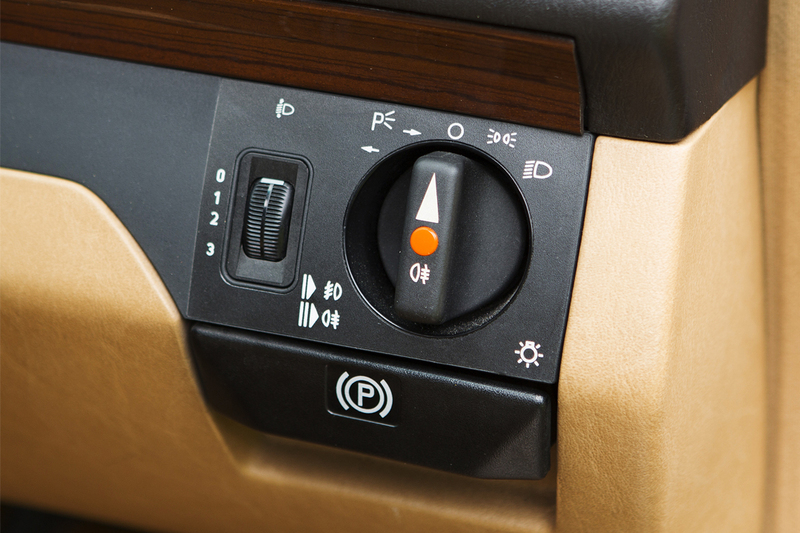 The clutch is light in action and the gearbox is pleasant to use. 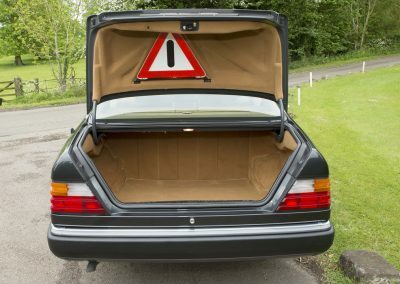 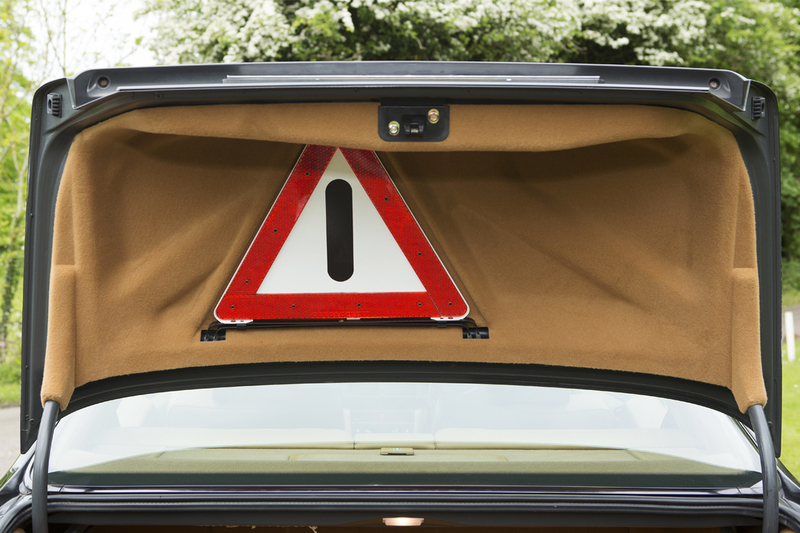 The brakes with their ABS stop the car as the maker intended.